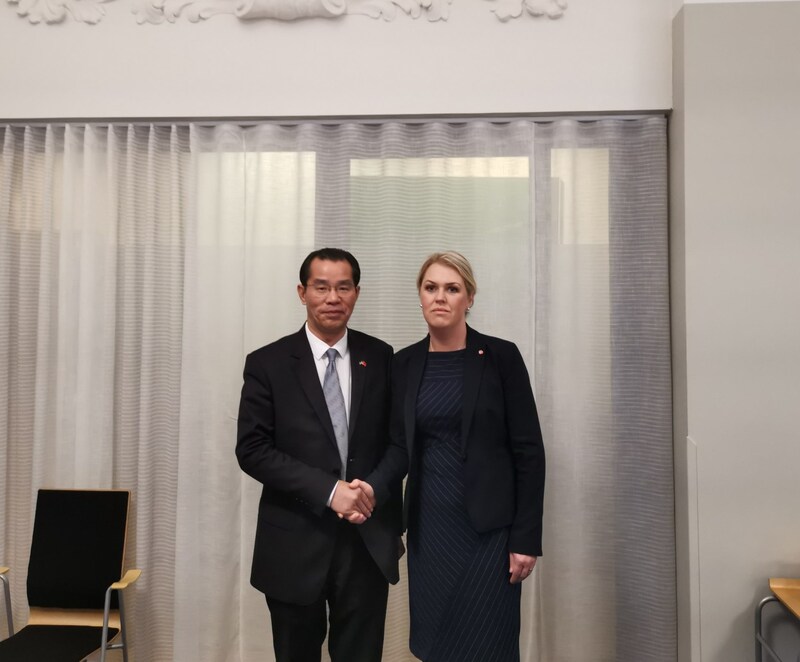 On 28 March, Ambassador Gui Congyou met with Ms. Lena Hallengren, Swedish Minister for Health and Social Affairs, at the Swedish Ministry of Health and Social Affairs. Ambassador Gui said that China and Sweden have a long history of cooperation in the field of health care. The health departments of the two countries have maintained high-level exchanges of visits and dialogues. The medical and health institutions and scientific research institutions of the two countries have carried out fruitful pragmatic cooperation and achieved gratifying outcomes. Both China and Sweden are devoted to improving the equity and accessibility of health care, and are facing similar challenges such as aging of the population and the rising burden of chronic diseases. China is implementing the Healthy China initiative and regards the health of the whole nation as an important basis for building a moderately prosperous society in all respects. 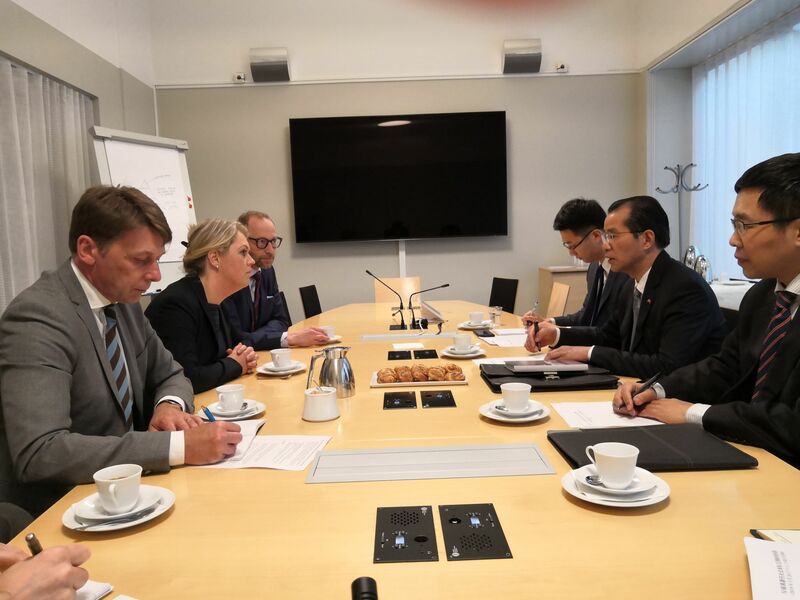 China is willing to deepen bilateral and multilateral cooperation with the Swedish side in health care and to promote exchanges and cooperation in key areas between the medical and scientific research institutions from the two countries, so as to jointly improve the health and well-being of the two peoples and contribute to human health. Ms. Hallengren said that Sweden and China have much in common in the field of health care and have reached a lot of consensus about cooperation. The two countries have conducted close exchanges and good cooperation. Both countries are facing similar challenges including the aging of the population. The Swedish side hopes to exchange good practices and experience with China through bilateral and multilateral channels on addressing these challenges and to deepen cooperation in relevant areas.